Provides a durable high gloss finish. 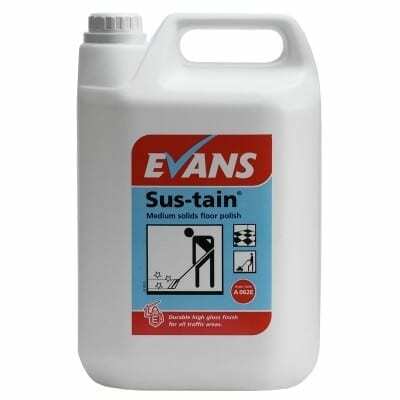 Excellent scuff and slip resistance, Responds to spray burnishing. • Suitable for most hard floors including vinyl, rubber, linoleum, terrazzo, & sealed surfaces. • Ideal for medium traffic areas. • Coverage per 5 litre – 400/500 sq. metres for 1 coat. • Approved for POLYFLOR flooring.